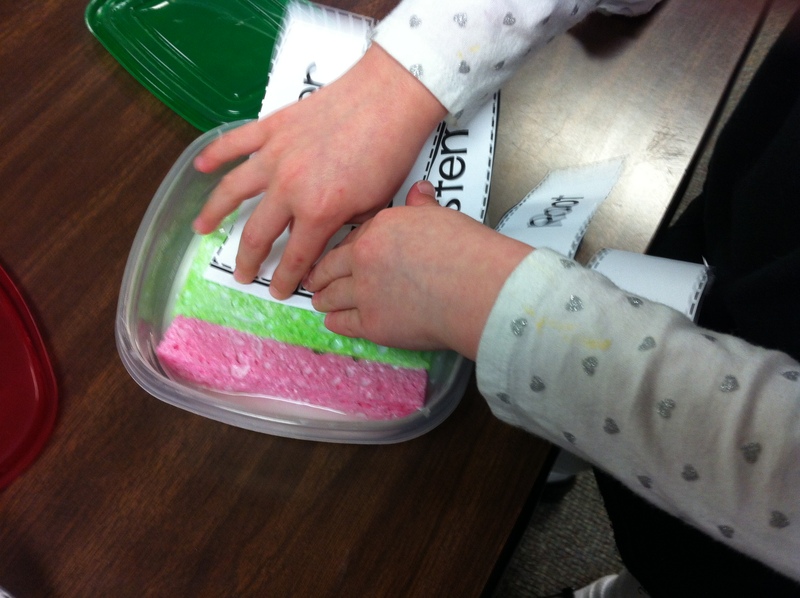 At the Spring Blogger Meet-up, one of the goodies received by a teacher was Mr. Greg’s glue sponges. I was so jealous! I really wanted them!! 🙂 Seeing them finally kick started me to make some of my own, for less than $10 for my entire classroom. We have been using them for a couple of weeks now and the kids LOVE them and I LOVE that glue sticks are gone!! The kids were the ones to notice that we were using an awful lot of plastic tubes just to glue things on, so even they see how great the glue sponges are!! I have to say that we are quite talented at using our glue sponges. 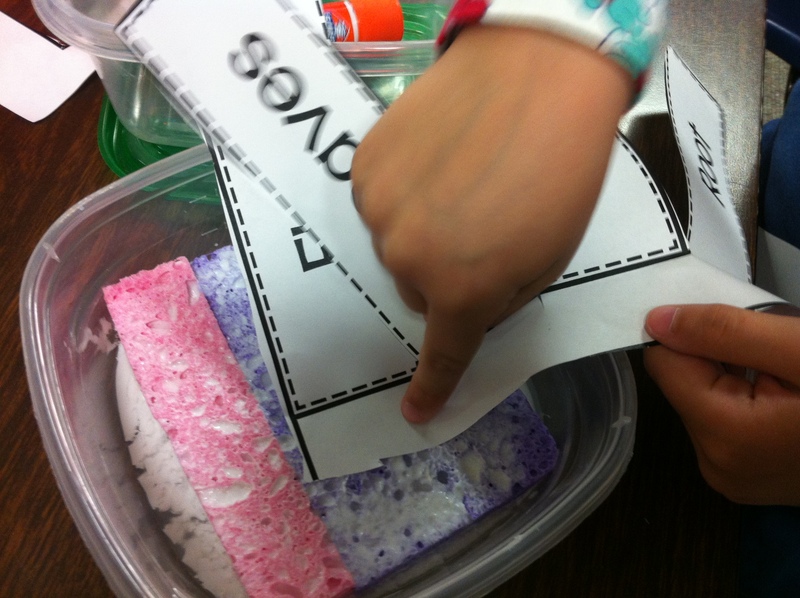 Here the kiddos are gluing larger sheets of paper into their science notebooks. They were the ones who figured out that they should just touch each corner to the sponge to make it stick. I’ll be honest…I was a skeptic at first. I thought for sure that we would have kiddos sticking their fingers in and pulling the sponges out, but honestly…not a problem so far. I did introduce them in April, so we are almost done with the year. We shall see how it goes introducing them at the beginning of the year next year. Posted on April 20, 2014, in Uncategorized. Bookmark the permalink. 3 Comments. How many students use each one? Do a few students share one? Love this idea! I will make some this week….thanks!